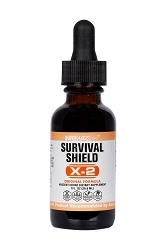 A Fish Oil Formula That Supports The Mental And Physical Growth Of Your Child! While we may wish we could provide our kids with the perfect diet and exercise for their growing needs, it’s almost impossible to meet those standards. Busy lives for both parents and children mean that your child may not be getting the vital nutrients they need. But it’s even more important that we’re able to help them meet those needs and provide an opportunity for them to grow! With Honor Roll from Infowars Life, you can work towards just that. Honor Roll is a child’s fish oil formula geared towards helping their growing minds and systems. Using powerful ingredients and a refined process for it’s creation, Honor Roll can support your child’s brain growth, assist with their heart and joint health, and help with cognitive health to support a happy, healthy and growing lifestyle! Why Try Giving Your Kids Fish Oils? We know the benefits that fish oils can have for adults, but did you know they’re just as important for kids? The DHA found in fish oil has been shown to be essential for brain development in children. With recent studies showing a strong positive relationship between DHA supplementation and a child’s later cognitive abilities, as well as studies suggesting that fish oils can stimulate immune function, support cardiovascular health, and sooth inflammatory responses, it’s important that you can provide this crucial nutrient to them. Children are picky, days are long and busy, and you may not be able to feed your child all the seafood, milk and eggs they need to meet that level. That’s where fish oils come in – they can help support your child’s growth in the same ways it can support an adult! Wild Anchovy Purified Fish Oil – Wild Anchovy oil molecularly separated to purify the "DHA" rich portion. Ultra purified to eliminate heavy metals like mercury. Krill Oil – Fresh, unmodified Antarctic Krill Oil from Antarctic waters. Wild caught for superior antioxidant content versus farm raised. Wild Salmon Oil- Fresh wild salmon oil caught in the fjords of Norway. Wild caught for superior antioxidant content versus farm raised. 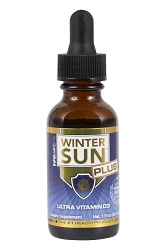 Vitamin D – Vitamin D3 is found naturally occurring in fish oils and works synergistically with fish oils in your body. Vitamin E – Vitamin E adds potent antioxidant protection that keeps the fish oil fresh and helps protect you too! Looking after your child is one of the greatest gifts of all – so there’s no better time to provide them all the advantages they need! 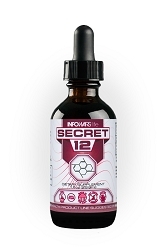 Try Honor Roll, the powerful kid’s DHA and fish oil formula from Infowars Life!